Designed by Bill Campbell in the 1980’s, our Oz Logo shade has long been a dormant Century Studios original lamp design. We created several of these lamps for Books of Wonder, a New York City bookseller and then the design was quietly shelved until recently, when the lamp was commissioned by a client in Massachusetts. The Oz logo appears in an illustration at the end of The Marvelous Land of Oz, the 1904 book by L. Frank Baum. This was the second book in the Oz book series and the first title to be illustrated by artist John R. Neill. 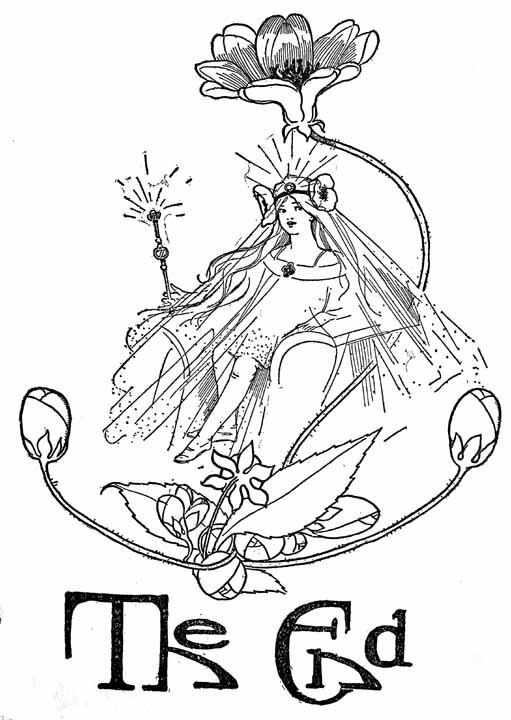 It is hard to see, but the scepter held by Princess Ozma contains the logo. 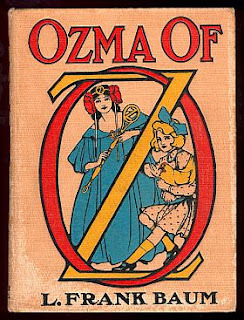 In 1907 the third book in the series, Ozma of Oz, features the logo front and center and Neill continued to showcase the logo in illustrations on future stories of the series. Bill adapted the design as a decorative band for this shade, adding a pressed glass “emerald” between each logo. 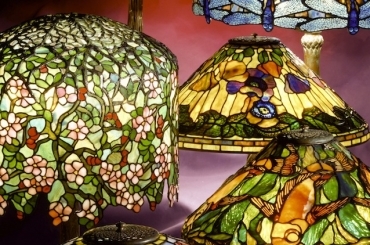 The shade is shown on the Small Stick base (20″ tall).